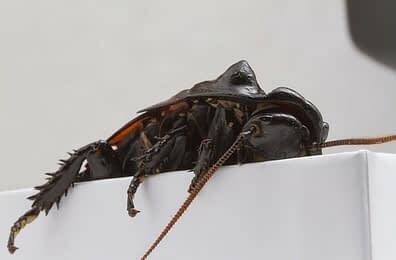 Madagascar hissing cockroaches are one of the largest species of cockroach in the world. This native one has some interesting facts. Generally, we can find them in forest or moist places. Normally it is not available in our country but seen by a small margin. It is also called as the hissing cockroach or simply hisser. Madagascar hissing roaches are the only one who can hiss. 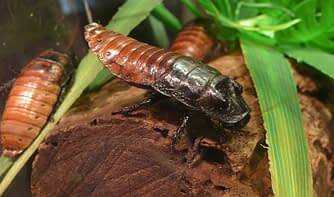 They are brown to black in color and in the maturity stage, it can 3 inches long. Because of its unusual ability to produce sound, it is also known as the fascinating insect. There are three forms of hissing roaches. The disturbance hiss, the female-attracting hiss, and the aggressive fighting hiss. Well, normally it is brown in color mixed with the black one. They have no wings like the others and can’t fly. It has also long antennae or horns. The horns are very narrow shaped. It can be grown up to 7 cm or 3 inches in his maturity level. Most Interesting cockroach facts about Madagascar they have no wings they are excellent at climbing. Madagascar Cockroaches can easily climb in any situations. mainly it found in the forest areas, are not habituated to live in the houses. They normally like to live in the dry place where foods are available. Generally, they eat all kind of foods but the like the vegetables a lot. They also like to live in the vegetable areas where the vegetables can be grown in a maximum way. Normally, they don’t hiss. But if they face any hesitations or worried they hiss. It is a kind of weapon to save their life. Madagascar roaches are very different from their lifestyle than the others. They are the hiss and have an unusual sound which differs from the others. They have many names. They are called hissing roaches or called simply roaches. And their scientific name is “Gromphadorhina portentosa’. 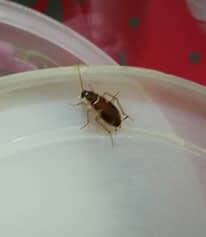 if you want to know what roach look like in the picture of a cockroach here. The life cycle of the Madagascar roaches is different from the others cockroaches. Generally, their life cycle is long from the other. Female Madagascar gives birth to the young. The lifespan has is their stages -eggs, nymphs and the adult stage. The female one carries the eggs up to 60-70 days. One can produce 30-60 nymphs. In the nymphs stage, it looks like white in color. But day by day, it looks like brown to black in color. After that, the nymphs are born, it takes the maximum of 7 months to become fully mature. In that stage, they are usually 0.25 to 0.5 inches long. Day by day they grew up without the wings. In the maturity level, they got their hiss. It is a kind of weapons to protect themselves. They also have unusual sounds which differ from the others. They can live longer than the others. Normally they can live 4-5 years in their life cycle. As we know Madagascar roaches don’t have any wings, so they are very good at climbing. They can climb any place quite easily. Though they are expert in climbing, they like to live in the forest areas. They normally hate to live in the man zone area. They are very fond of living in dry forest areas where foods are available. Their main food item is the trees leaf. They also find in the wood logs. Normally they want to live separate from the others. Madagascar Cockroaches also like to live nearby the vegetables are where vegetables are available. One of the most loved food items is the vegetables. They are not like the others roaches who eat the dirty foods. They like to eat the fresh items. One of the most loved food item for them is the fruits. They love to eat fruits a lot. Whenever the leaf or vegetables are not available they are seen to take fruits from the trees. Though they are expert in climbing, they climb from one to another tree to take fruits. Last, of all, they choose to live those kinds of areas where foods are available like the leaf, vegetables, and fruits. They normally take dry foods. Their food items are small on the list. The first thing to do in taking care of Madagascar roach is getting a good weel ventilation holes cage. Although they need to mate once. You should find the same gender preferable male partner. Give them vegetables as a food.also you can give them dog food or cat food for protein. put water in the cage so that they can drink whey they want. For stopping they getting out of cage put petroleum jelly around the cage. 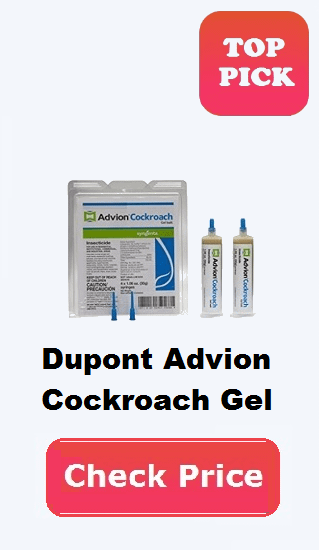 Last option are the using best at home roach killer.